Do you have a gift budget? Or do you just spend as required? Does this mean you sometimes overspend? Do you admire those who always seem to have the knack of gifting something unusual? Do you wish you were one of those people who always has the right unique gift on hand for impromptu (or planned) gifting? It's not hard. And you don't have to be a crafting guru to manage it. You just need to plan ahead. Look at these precious things. Little gilt embossed 10ml atomisers, embellished with tiny black grosgrain bows, and filled with customised essential oil fragrance blends. I made 6 of them in less than an hour BUT I had to plan ahead. You see one of my goals for this year, was to teach myself how to blend essential oil perfumes. I have Annabel at The Bluebirds are Nesting to thank for reigniting my interest in essential oils this year. She's been running a series on The Home Pharmacy, and having a Mum who was hugely into natural remedies...well...it was a winner at first sight. We are big on scent of all types in our home, and so little DIY scents seemed like a clever thing to do. I already had a stockpile of lovely oils left over from soap making and body product manufacturing of all kinds over the last few years. So really...why not? Fortunately little perfumes are dead easy to make and master, and after a small amount of research, I was able to concoct 5 different potions, each with their own unique loveliness. But FIRST, I had to find suitable atomisers. These caught my eye with their delicate gilt embossing. You can find them here. They were ridiculously inexpensive, but took about a month to arrive. 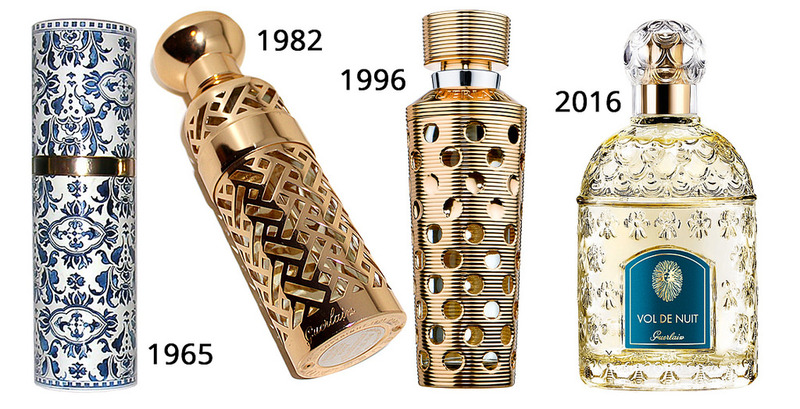 I'd done my research (this is important so that you can determine how you want your gifts to look), and decided that these Guerlain atomisers was the look I was after. I think my representation is along the same lines. Simple, elegant, yet eye catching. The thing is to seek inspiration, not replication. Powder puffs were on the to-do list this year as well. Annabel also has wonderful ideas for these. You can find them here. These are scented with a chocolate powder sachet inside them and I bought the Chocolate Fragrance Oil here. 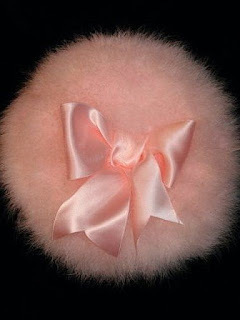 I mixed it with cornflour and popped it into a little paper swatch, and hid it inside the stuffing of the powder puff. These will be the most adorable Easter gifts, and calorie free! This pretty rose stamped gift wrap is made with the cut bottom of a bunch of celery, and a simple black stamp pad, found at any stationers. Who'd think celery could look so lovely? I stamped Butchers paper, but brown paper would be just as beautiful. That's the sort stuff you buy by weight from wholesale stationers or party supplies. I spotted these lovely wrapped chocolates on Instagram and just knew I'd be replicating them for Easter as well. I have done these before and you can see my version here. To me, this looks like wallpaper samples, so I know where I'm off to this afternoon. There's a wallpaper supplier right near where I live, so I'll be putting on my best smile and simply asking if they'd sell me some swatches, and see what happens! Your gifts look beautiful Mimi! Thankyou for the inspiration and links ! Ive been interested in oils for about 22 years and have a collection of oils , and like you Ive beenn inspired again by Annabel and you. I have made my own scents in the past. 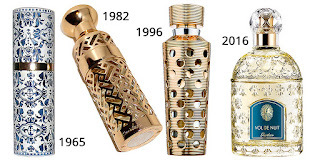 Many years ago a friend gave me a gorgeous small flat scent bottle . The surface is textured glass and it has a silver spider with paua abdomen sitting on an angle to one side and the silver lid has a tassell off it, I just love it.Its about 2inches in diameter. Thank you Mimi! I am LOVING the coffee cup and luxury theme there. This could be big! I went off and ordered those little spray perfume bottles. What a buy! They look lovely and this will make such nice gifts. 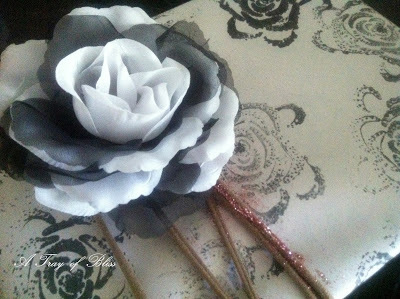 I love your gift ideas; so feminine and original. Looking forward to seeing how you go with the wallpaper wrappings. I have to admit to buying those chocolates in lovely wrappers for some huge price. Not sure that the chocolate is really that good but they look great.